It has been a long time after HTC HD2 was released.It is considered as an “out” handset…But I still want to share it with you since I found lots of review or users experience is so good for this cellphone.If you are not a trend follower,who are tend to follow the latets or the most popular ones,you may have a look on this if you need a mobile phone. 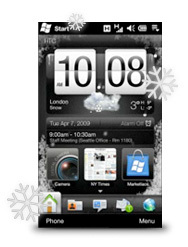 The HTC HD2 is a smart handset which comes with an impressive 4.3 inch touchscreen display, making watching movies, playing games, browsing photos and the web a joyful experience. ” The unprecedented 4.3-inch pixel-packed display is stunning. The world’s first capacitive touch technology on a Windows® phone along with 1 GHz processing power ensure a smooth and lightning-fast response to the lightest touch of your finger.”-according to HTC website. HOW TO convert DVD movies to your HTC HD2 with PERFECT QUALITY?How to rip DVD movies to MP4?Any DVD Cloner Platinum can do it very well for you! The handset runs on Windows Mobile 6.5. You can run multiple applications, edit office documents and download applications with help from the 1GHz processor. It comes withHSDPA, GPS, Bluetooth and Wi-Fi connectivity. Keep in touch with friends via instant messaging and access YouTube, Facebook and Twitter while on the move. There is also a 5 megapixel camera with autofocus, FM radio, music player, digital compass, video recording and much more. 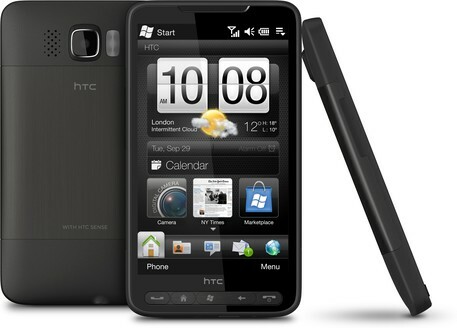 HTC HD2 has a enormous size screen. This is the most attractive features among the users views.The touch screen is smooth and sensitive. So brilliant on the internet. It has a 5 megapixel camera with a flash. Also you have Microsoft Office Mobile so you have a mobile version of Word, Excel, Powerpoint and Note, allowing you to create files on the move. Also you have the Microsoft Marketplace which is similar to the Apple App Store but they do have fewer but very similar apps.